Though crucial, many of us will not have some form of cash fund which we can turn to when in desperate need of some available cash. With all of us living in a society whereby spending is encouraged, the concept of putting by money each week or month almost seems alien! However, how do you cope when something unexpected crops up and means you need on the spot money? It happens to all of us, regardless of age or status; the washing machine will break, the car will need a repair, or the cat will need emergency vet care. Whatever financial situation you are currently in, it pays to stop and think about how you would be affected if you couldn’t pay for such items immediately, more so if you were out of work for a time. How Much Should We Put into This Type of Fund? 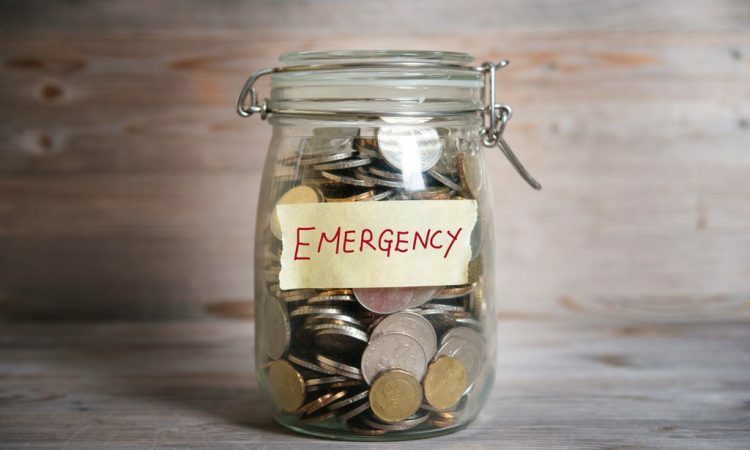 To begin building up an emergency cash fund, take a closer look at your current situation and work out how much you could practically afford to put by, each month. Many financial experts recommend keeping by enough cash to cover a minimum of three months living expenses. Think of what you would need to cover regarding rent or mortgage, alongside essential living utility bills and, of course, food. For those who have people financially dependent on them, it is advised to look at putting a minimum of six months worth of living expenses aside. For those who earn considerably more, experts believe that aiming to put by a total of 12 months’ worth of living expenses would be an adequate solution. A considerable number of higher earners tend to invest all their additional income, but this then leaves them with no easy to access cash when it comes to emergencies.